When Kaden Bates, an 8-year-old second grader at Settlement Canyon Elementary, submitted his story “A Spaceman on a Mission” to the national TV show “Green Screen Adventures” about a year ago, he never expected it to air on national television. But last week, it did. “Green Screen Adventures,” a Chicago-based television show that airs on Me-TV and ThisTV, is a series that gives students in first through eighth grades the opportunity to submit writing in the form of stories, plays, songs and essays to be featured on the show. The actors on the show then act out the stories to make them come to life. When the Bates happened across the show about a year and a half ago one Saturday morning, their children were glued to the screen, according to Melody. 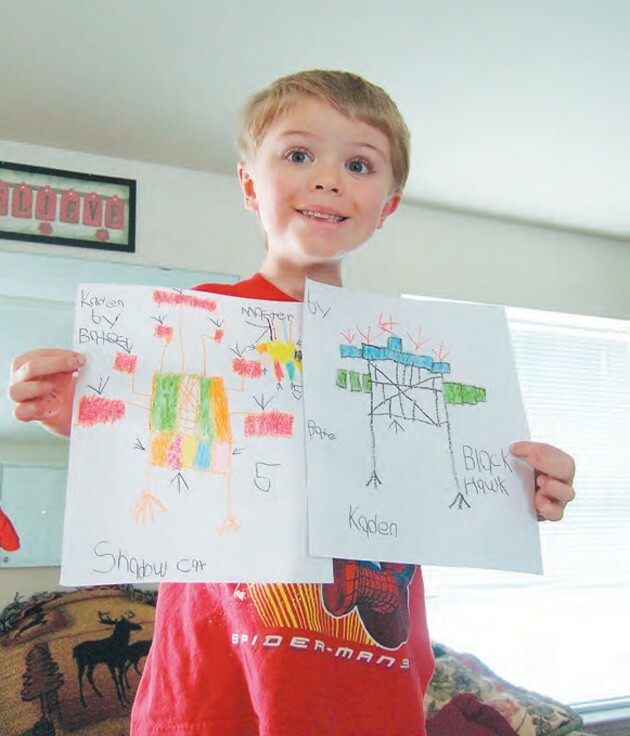 Kaden heard the actors encouraging children to submit work at the end of each episode, and finally decided to write, draw and submit his own story. Since it launched in 2007, “Green Screen Adventures” actors have taken children’s written works and acted them out with props, music and puppet shows. Kaden’s story is adapted in about a 10-minute segment of the half hour show. Kaden’s story “A Spaceman on a Mission” aired on Wednesday, but will air again on Dec. 15 on ThisTV, channel 2.2, at 8 a.m.